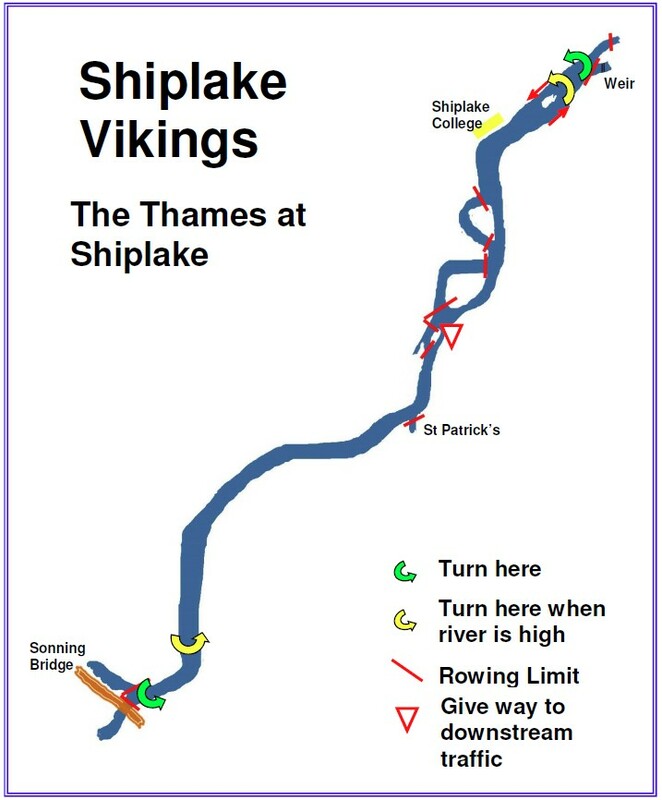 Shiplake Vikings Rowing Club operates out of the boat houses at Shiplake College. To get to us, just follow the A4155 between Henley-on-Thames and Caversham, and you will see Shiplake College at postcode RG9 4BW. Please park in the college grounds, then follow the college signs towards “Reception” but don’t go in: just turn left down between the main college building and Skipwith House, then follow the path down to the river and the boatsheds. We launch our boats on to the beautiful Shiplake reach – one of the most beautiful, quiet stretches of the river Thames – between Shiplake and Sonning.